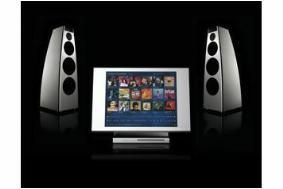 Russ Andrews to demo Meridian Sooloos at Goodwood Festival of Speed | What Hi-Fi? Russ Andrews Accessories will be demoing Sooloos throughout the event, which takes place at the Goodwood Estate, Chicester, West Sussex. This year, for the first time, the Moving Motor Show will also take place at Goodwood on July 1st. Sooloos, manufactured by Meridian, is a network music player that enables the user to store their entire music collection on a hard drive in lossless quality. It's controlled via a 17in touch-screen display which shows the album artwork, and allows access to a huge amount of information about the recordings from an online database. Controllable from anywhere in the home via an iPad/iPhone application, the Sooloos can also play music on portable devices or via a web browser when you're not at home. Russ Andrews says: "We are very excited to be presenting this superb product at Goodwood, with the opportunity this gives us to show the public that a simple-to-use solution can give them exceptional sound quality."